So, What's a Buckler? — Earl Sports Co.
Great question! The answer is actually pretty interesting, and we figured it'd be a great way to kick off our blog. See, back in the Middle Ages and into the Renaissance, hand-to-hand combat and swordplay were no joke. One of the most effective tools around was a small handheld shield, ranging from eight to 15 inches in diameter, named a "bouclier" or "boucle" by the French. Lightweight and maneuverable, it was used to deflect blades, deliver blows, or even blind an opponent. It worked so well, in fact, that the name stuck, and the Buckler was born. 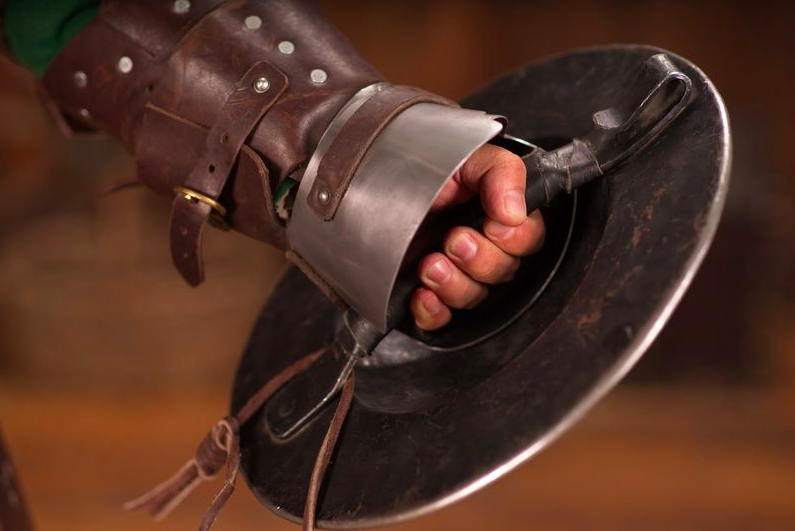 While we realize that you may not find yourself in a medieval duel anytime soon, we still think it's a good idea to take the field with a glove that provides the same competitive edge as the original Bucklers. Why not, right? Replica of an original buckler, courtesy of the medieval-armor experts at www.steel-mastery.com. Turns out the idea that "the best offense is a great defense" isn't so new after all.